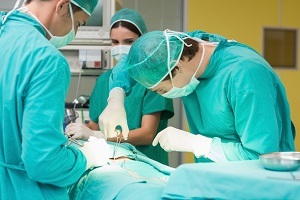 Surgical Technologists are a crucial member of the operative team. It is difficult to figure out when the first surgery was performed, although some sources cite as far back as 9000 years ago. The first ever documented surgical procedures that we have discovered can be dated back to 3500 years ago in ancient Egypt. In these documents, the surgeries were performed by priests and there is little doubt that they required assistants to help with the various procedures. 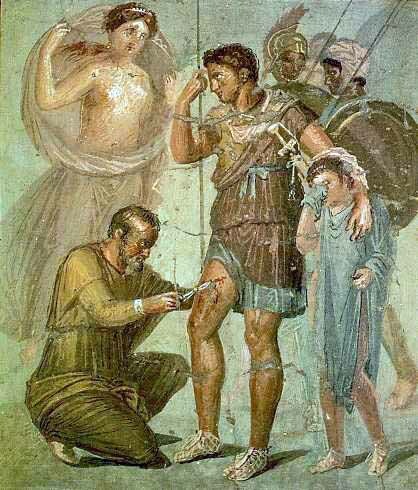 The early Greeks and Romans practiced surgery with great attention to detail. As such, their cleanliness during surgical interventions meant that infection was relatively uncommon. They would use boiled water or wine for wound irrigation. These techniques were lost with the decline of their civilizations. In Europe, during the Middle Ages, a regression in surgical knowledge was marked by a high level of postoperative infections. This was a dark time for surgical practices with the introduction of the “barber-surgeon” in England and France. This uneducated and unskilled surgeon performed all the tasks of a normal barber as well as the roles of a surgeon. It wasn’t until the 18th century that surgery began to reach a professional level of standards. Throughout all the centuries of trial and error, one thing remains an obvious constant. These surgeons required one or more assisting individuals to help them complete their surgeries. Even if they did not have the technical name of “surgery technologist”, they were undoubtedly a valuable asset to the team. In America, technologists can cite their beginnings to the battlefields during the succession of world wars participated in by the United States: World War I (1914-1918), World War II (1939-1945), the Korean War (1950-1953), and the Vietnam War (1945-1975). 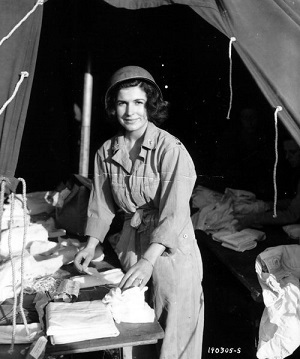 Because nurses were not allowed on the battlefield or on combat ships, the US Army used “medics” who worked under the supervision of the surgeon. In the US Navy, they would use medical “corpsmen” aboard the combat ships. Out of need, a new profession was born within the military called an ORT (Operating Room Technician). Due to the need for more medical personnel, an accelerated nursing program emphasizing operating room technology was set up. This was delivered via on-the-job training to existing nursing assistants. Part of their studies included patient care, sterilization of instruments, draping, instrumentation and sutures were emphasized. After the Korean War in the 1950s, hospitals were experiencing a severe shortage of operating room nurses. Those men who had received training to aid military surgeons on the battlefield were given positions in hospitals to make up for the shortage. Improvements in the surgical technology field started in the late 60’s and led to the formalization of the role in the 70’s. As time progressed more institutions began developing standards for surgical technologist programs. Sadly, surgical technologists are not very well known compared to their other professional counterparts, yet they have played a crucial role throughout history of assisting surgeons during their procedures. 16th Century – Surgical technologists from 16th century England were known as beadles. One of the most noteworthy beadles in history is Mr. Rampley. He worked at the London Hospital in the late 1800`s and invented the needle holder that bears his name. 1970 – The first certification examination was given with successful applicants being given the title of: Certified Operating Room Technician (CORT). 1974 – A body of accreditation was established to ensure applicants receive quality education. 2005 – The NBSTSA relocated its headquarters to Littleton, Colorado. From these humble beginnings, we now boast professional advances from simplistic on-the-job training to formal educational programs all over the world. These programs are offered by the military, technical schools, colleges. Their roles and responsibilities have expanded greatly and there are now well over 400 accredited surgical tech programs in the U.S.
Surgical technologists are now highly accredited medical professionals. The majority of techs (over 70%) work in hospital settings around the world. There are many who also work in surgery centers and dental offices. With over 400 tech programs in the U.S. alone, every year brings new faces to the industry. Generally they take part in a 2 year diploma program to start, with further accreditations later on. Surgical techs stand for long period of time and must wear the proper scrubs and other protective equipment. They work long hours, weekends, nights and on-call for emergency surgeries. Their contributions to the surgical team are an invaluable addition. Surgical technologists have a bright future for their career prospects. This is a growing profession that is expected to increase by 19% by 2020. This is faster than average for all occupations in the United States. This is a result of expectations in the rise in surgical procedures that will be performed as the population ages. Also, technological advances such as robotic, laser and fiber optic surgeries will increase the number of new surgical procedures being performed. Surgical technologists will be required for all of these advancements.